Being branded “troubled” by the Federal Reserve, as the WSJ reported, is hardly the first stateside warning for the German lender. New CEO Christian Sewing already plans to slim the American business. Worried U.S. supervisors will give him a greater sense of urgency. 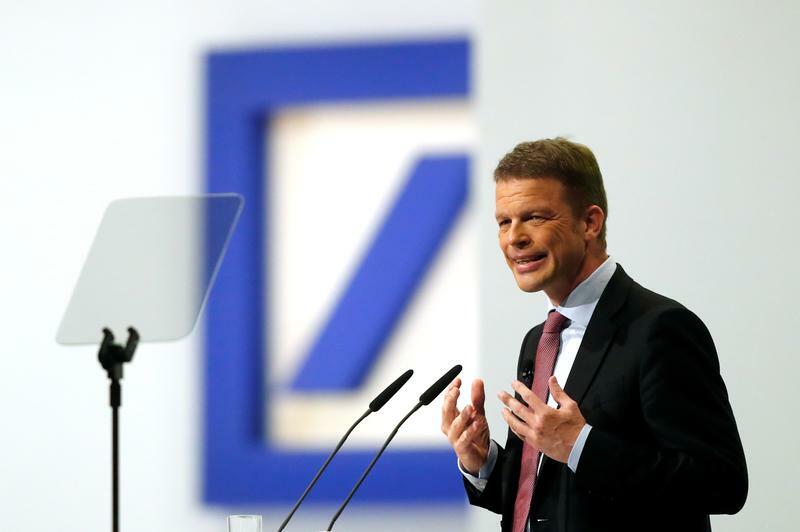 Christian Sewing, new CEO of Germany's Deutsche Bank, addresses the audience during the bank's annual meeting in Frankfurt, Germany, May 24, 2018. The U.S. Federal Reserve last year designated Deutsche Bank’s U.S. operations to be in “troubled condition”, the Wall Street Journal reported on May 31, citing people familiar with the matter. News of the Fed’s assessment, which had not previously been made public, sent shares in the German lender down 7.2 percent to 9.18 euros by the day’s close. The Fed downgrade caused the U.S. Federal Deposit Insurance Corp to put Deutsche Bank Trust Company Americas on its list of “problem banks”, the WSJ said. Deutsche Bank declined to comment on the WSJ report or on its relations with the Fed, but said it was working to remedy weaknesses in its U.S. business identified by regulators. It said in a statement that despite potential weaknesses in parts of its U.S. operations, the parent Deutsche Bank AG remained well capitalised and had adequate liquidity reserves.